This weeks blog post is by sister Emilie (Ummu Meriem), the founder of Arabic Seeds, a project that develops Arabic learning services and resources inspired by kids and daily life. Arabic Seeds helps parents to practice Arabic at home with their kids, and promotes meaningful, creative and enjoyable Arabic teaching for children. Emilie is a non-native Arabic speaker who is raising a bilingual (Arabic/French) child while learning/improving Arabic herself. She wants to show that it is possible for mums to move towards the Arabic fluency with their kids. Learning the Arabic language does not have to be hard or boring. It can be interactive, hands on and relatable to children. This is why we put a lot of emphasis on learning through play at Arabic Seeds. For a richer learning experience, how about adding creative activities like an easy craft? They are a great way to engage our kids in learning new Arabic vocabulary, effectively and with joy! I usually add a short and fun Arabic text to all the crafts, which exposes kids to the whole language and allows them to practice speaking. 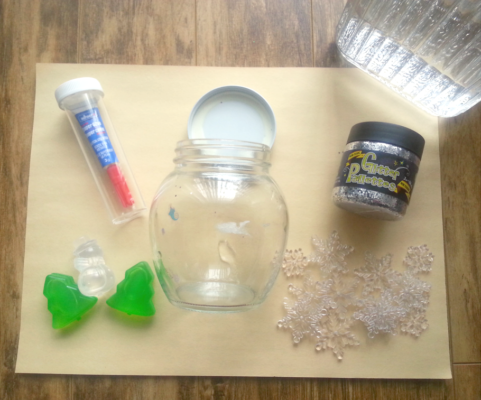 Today for our winter-themed Arabic craft, we will be making a snow globe. Who doesn’t love snow? Waking up to a ‘white surprise’ (as I like to call it) and running outside to play with it. Although we can’t bring the snow inside, we can try to recreate the fun of it with the help of a snow globe. Snow globes are so much fun for children (and adults too!). Who doesn’t love shaking them and then watching with amazement as the “snow” whirls around and slowly lands down? We have also added a free Arabic (winter) Vocabulary list that goes along with go with it. After checking that the figurines you have chosen will be a good fit ( you can pop the jar over them to test), glue them to the inside of the lid with the superglue. 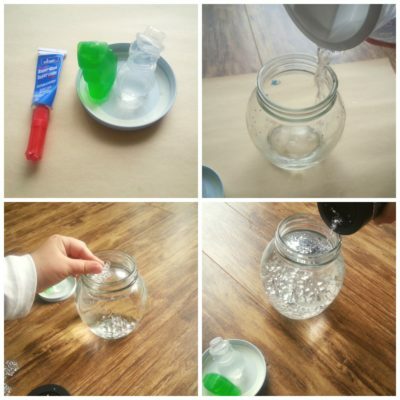 While it is drying, ask your child to fill the jar with water from a jug (good practice of fine motor skills!). Make him/her sprinkle glitter, fake snow, etc…in the water. Check if the figurines are well glued and it’s dry. Close the lid on the jar tightly; glue the lid if you are worried about your child trying to open it. 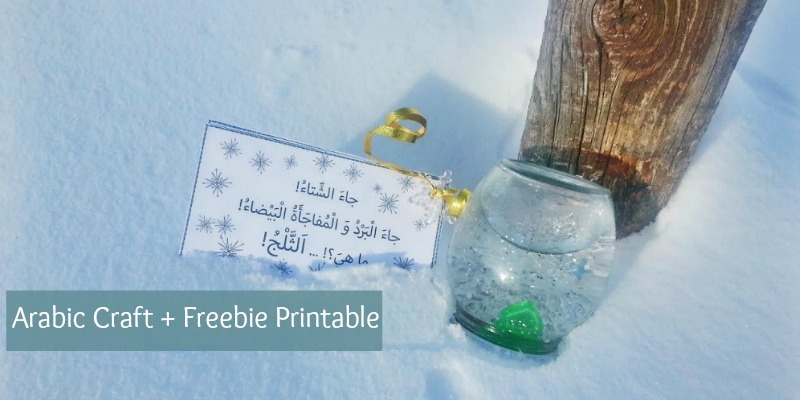 Print off this PDF with Arabic vocabulary to go with this activity here and allow your child to practice the words while playing with the snow globe. Let them shake or turn the snow globe upside down and just watch them be fascinated by it all. You can find Ummu Meriem on her blog and on Facebook and Instagram. Follow her for more Arabic related activities and tips. Barakallahufeeki for adding a great introduction about our project and Arabic learning/teaching approach! You are welcome ukthi, we love what you do and are always here to help inshaa allaah.